Ryan is a graduate of the Florida State University College of Business. While at FSU, he earned dual degrees in Finance and Risk Management & Insurance. His course study included: investment and market analysis, financial analysis, asset management, retirement planning, tax and accounting principles, risk management and insurance practices, asset protection strategies, employee benefits, business succession planning, business law, and economics. He was a member of the Florida State Insurance Society (FSIS) and the National Society of Collegiate Scholars (NSCS). 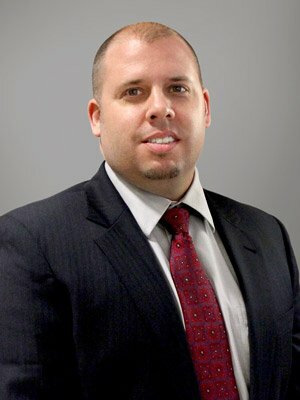 After graduating from FSU in August of 2001, Ryan began his career with OMNI Financial Services in Tampa where he's served for more than 15 years. Ryan serves professionals, families and business owners by developing comprehensive needs-based financial strategies driven by their individual goals and concerns. Asset protection is a focus throughout the financial analysis process, as well as a commitment to ongoing client service and formal reviews. Ryan's intention with each client is to make a positive difference in their life by the services he provides, and becoming a trusted resource for their planning needs. The financial security and peace of mind he helps them achieve is what continues to motivate him every day. He has continued his education and skills by obtaining the ChFC® and CLU® professional designations so that he may continue to provide excellent customer service to his clients.